Mrs. Arlene Quilliam, age 75, passed away early Wednesday morning, August 22, 2018, at The Villa Rehab Center. She was born in Waterbury, CT on March 19, 1943, daughter of the late Gerald and Marie (Ouimet) Leduc. Arlene worked briefly for the Fonda Container Corporation, but spent most of her life caring for her family as a homemaker. 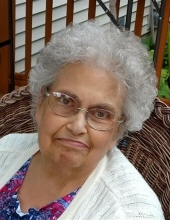 Arlene was an avid Elvis fan, and enjoyed dancing, cooking, playing cards, going to the Maple Festival, but most of all spending time with her granddaughters and her family. She is survived by her children, Glenn Quilliam of St. Albans, and Stacy Bates and her husband Rene also of St. Albans, her granddaughters Kailey and Grace Bates of St. Albans, and her sisters Loretta Stanley of Methuen, MA, Sylvia Casey of Ocala, FL, and Judy Spell and her husband Ken of Winter Garden, FL. She was predeceased by her parents, and a son Stephen Quilliam. A Mass of Christian Burial will be celebrated Monday, August 27, 2018 at 10:00 AM in Holy Angels Church with Father Joseph Ikegbunam celebrating. The family will receive friends on Sunday, August 26, 2018 from 2:00 to 4:00 PM, in the Brady & Levesque Funeral Home, 86 South Main Street, St. Albans. As an alternative to flowers, memorials may be made in her name to the Care Partners, 34 Franklin Park West, St. Albans, VT 05478, or The Villa Residents Activities Fund, 7 Forest Hill Drive, St. Albans, VT 05478. Arrangements are entrusted to the Brady & Levesque Funeral Home, where online condolences and memories may be shared with her family at: www.bradyandlevesque.com. To plant a tree in memory of Arlene Quilliam, please visit our Tribute Store. "Email Address" would like to share the life celebration of Arlene Quilliam. Click on the "link" to go to share a favorite memory or leave a condolence message for the family.